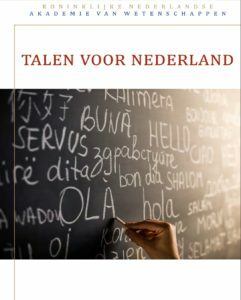 Our report Talen voor Nederland, about language policy in the Netherlands, has just been published. You can find it here. More information about the procedure and the committee can be found here. The article we wrote to announce this report has just appeared on NRC.nl.